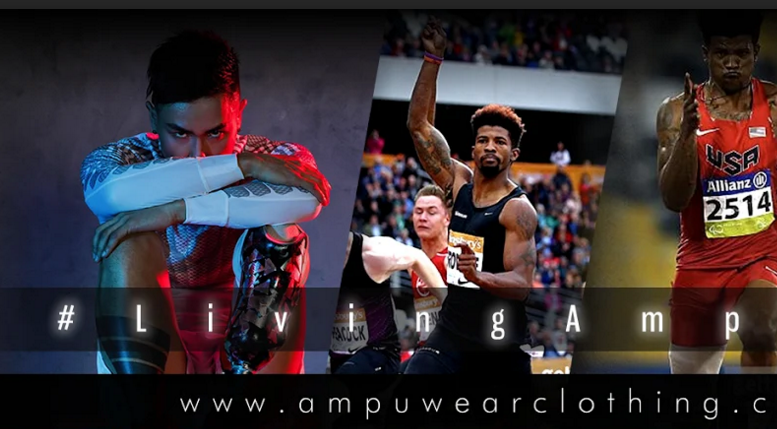 New York, NY – 24 Apr, 2018 – Ampu Wear Clothing Company announced today that Troy Malone, amputee and trauma survivor, is using the month of April to partner with fellow amputees, trauma survivors, and key amputee influencers to raise awareness, education, and financial assistance for the amputee community during Limb- Loss awareness month. The co-founder of the new adaptive clothing line is a Rockford Illinois native, who lost his leg in a freak accident when he was hit on the side of the road by a semi- tractor-trailer while at work. Amputee Influencers, Kima Dima, Kathleen Hawkins, LaKeisha Green, and Allison Rhine, have also pledged to lend their personal stories to the brand’s initiative, and using their individual platforms to raise monies in support of funding programs and services for amputees that provide mental and physical rehabilitative services. Ampu Wear Clothing Company’s mission is to help fund services for the 36% percent of amputees that experience depression living with the disability. Supporters are encouraged to purchase a “LivingAmpdUp” t-shirt from www.ampuwearclothing.com to raise funds to donate a portion of proceeds to supporting organizations. Be the first to comment on "Paralympian Richard Brown Joins Limb Loss Awareness #LivingAmpdUp Campaign!"